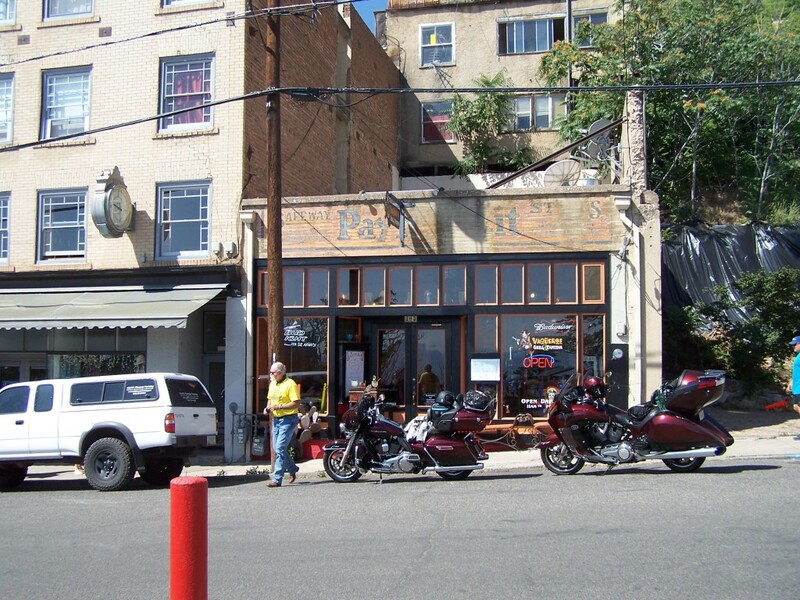 Jerome is an old mining town with a colorful history. 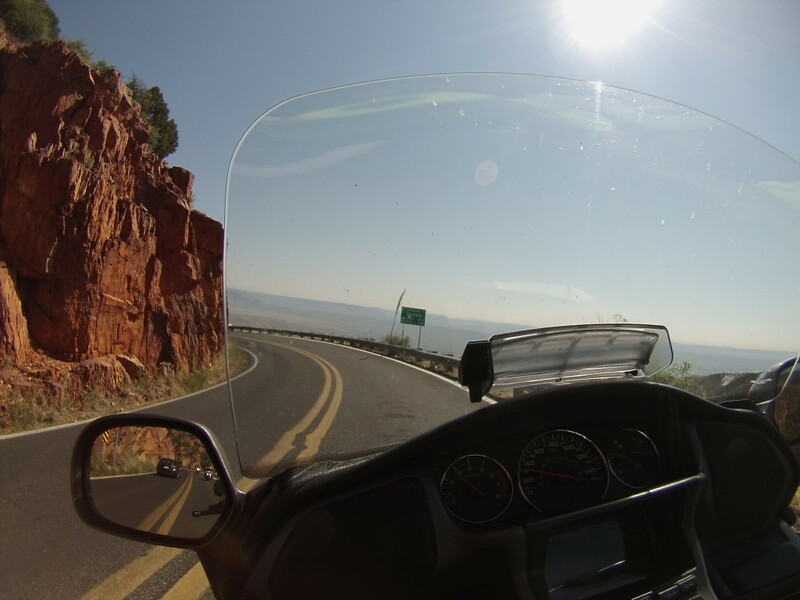 Once a thriving mining camp between the late 1880s and early 1950s, it now caters to hordes of tourist and bikers like ourselves who have just rode up or are about to ride down the twisties of US 89-A. There are many restaurants, shops and historic interests for all. 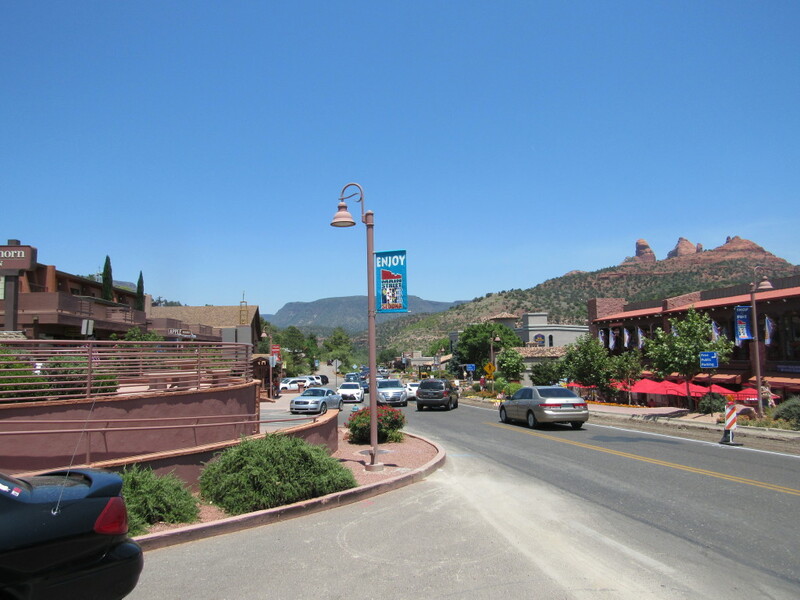 Jerome’s population includes artists, craftsmen, musicians, writers, museum caretakers and small business owners. The population rises and falls with the times. As of the 2010 census, its population was 444. I love old towns with history and Jerome is a good one with a lot of old buildings built on the steep slope of the mountain. 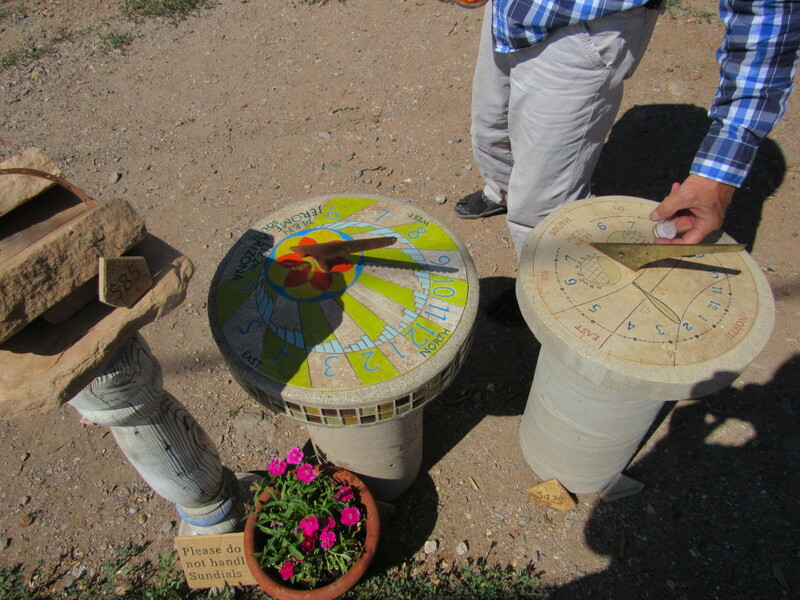 Artist selling Sundials in Jerome AZ Photo by Larry A.
Sedona, AZ Photo by Larry A. 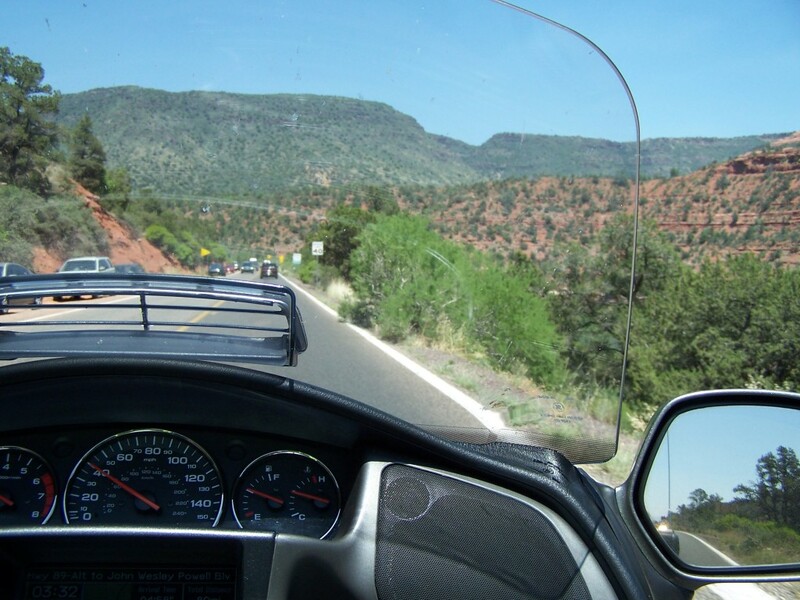 From Jerome we rode down to Sedona for lunch. Larry A. bought a tee-shirt at the Harley store and a Sedona dirt shirt. I would have liked to have spent more time here, but… Again, it was starting to get hot today and there were miles to go before we sleep. 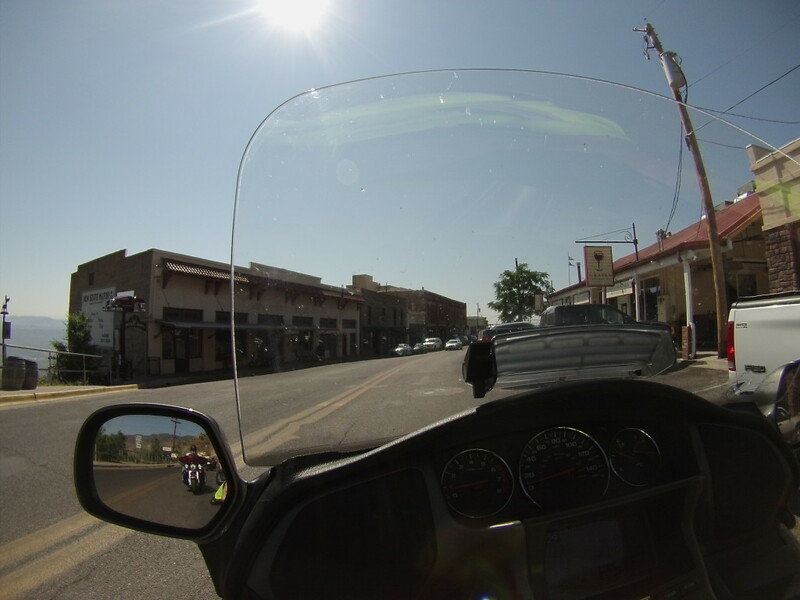 From Flagstaff we continued riding north up US 89 to the Cameron Trading Post in Cameron, AZ. 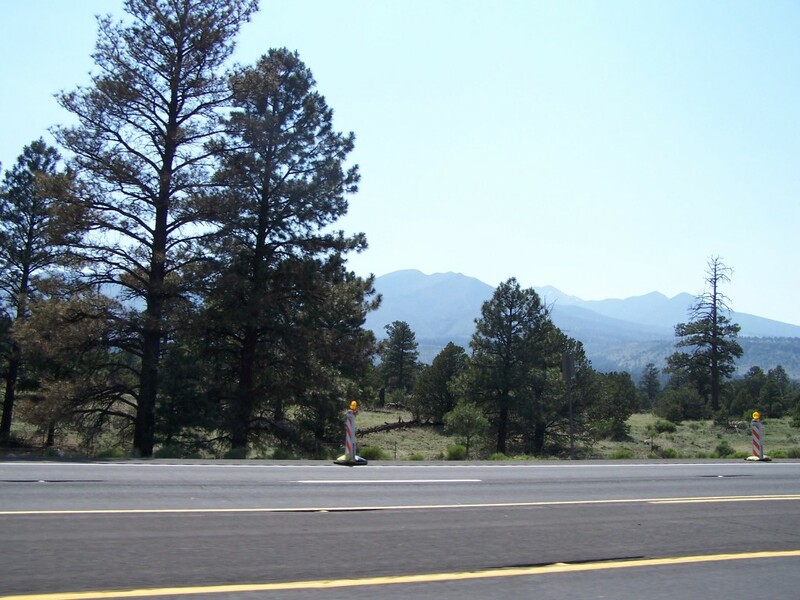 Leaving Flagstaff the scenery was a pine tree-lined road way that eventually turned to flat desert views with mountains in the far distance. By now the temperature was getting really HOT. 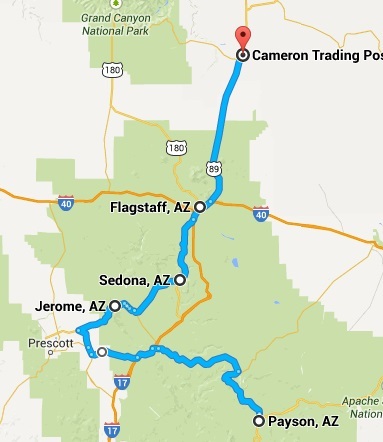 At one stretch, before getting to Cameron, it reached 110 degrees (F). We were three very tired and hot old bikers by the time we finally rode into the Cameron Trading Post. Cameron Trading Post will be our home away from home for the next couple of nights. 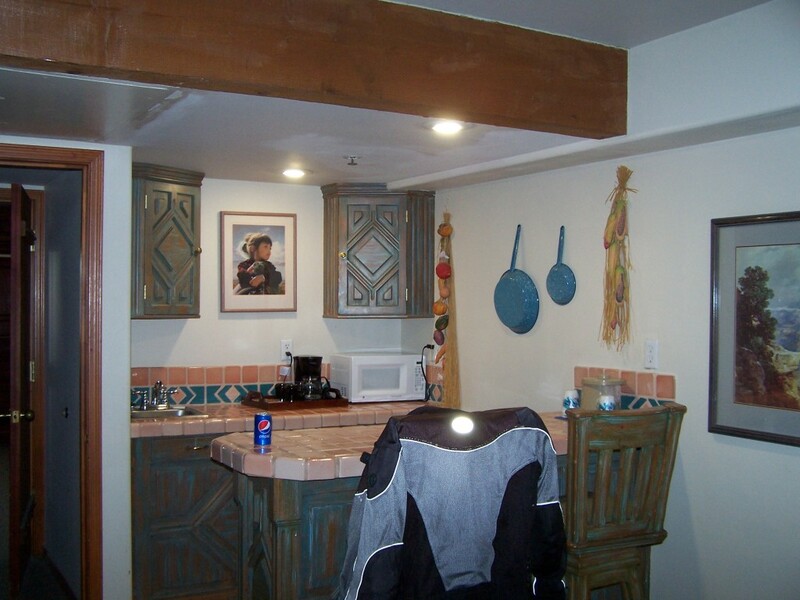 The Cameron Trading Post is a great place to stay. 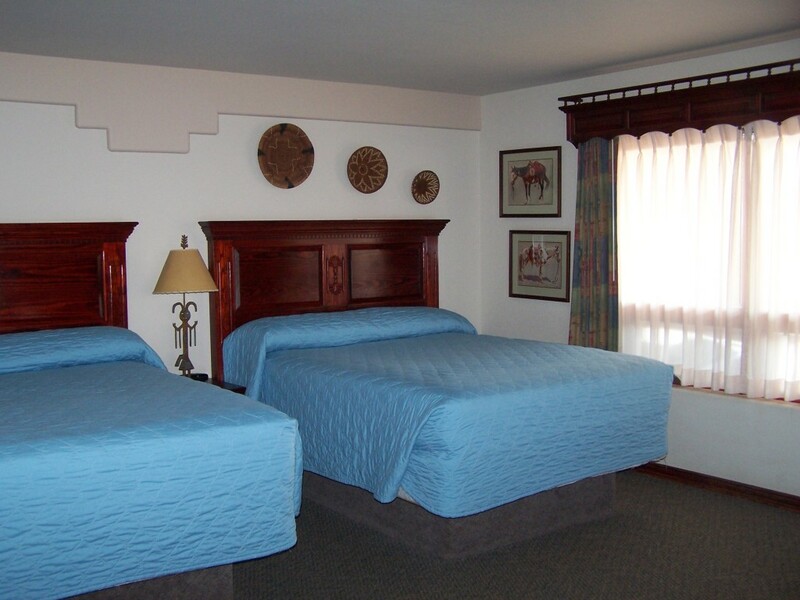 Great accommodations, restaurant, store, service station and gift shop. The gift shop sells paintings, sculptures, baskets, pottery, rugs, jewelry, beadwork, flutes, dream catchers and toys. At the store you can also buy supplies for your journey. 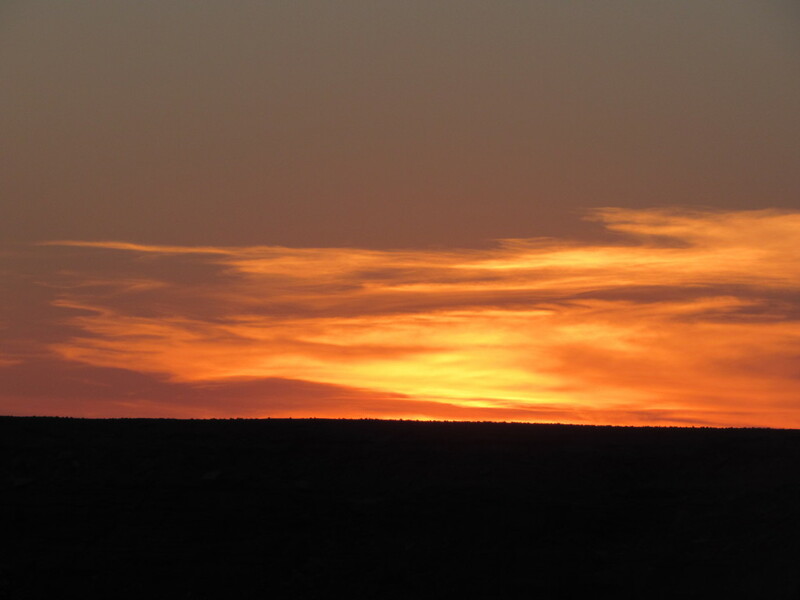 Sunset at the Cameron Trading Post Photo by Larry A. 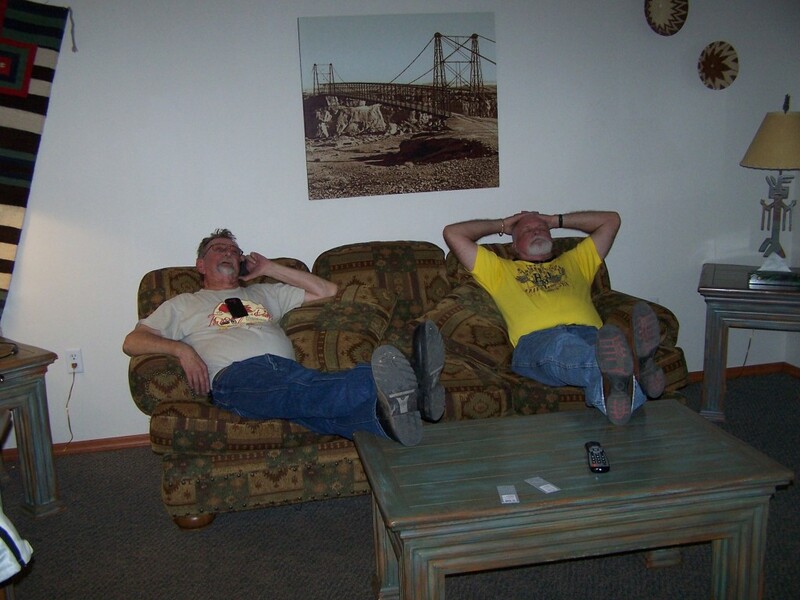 After gassing up we checked in, cranked down the AC and relaxed. 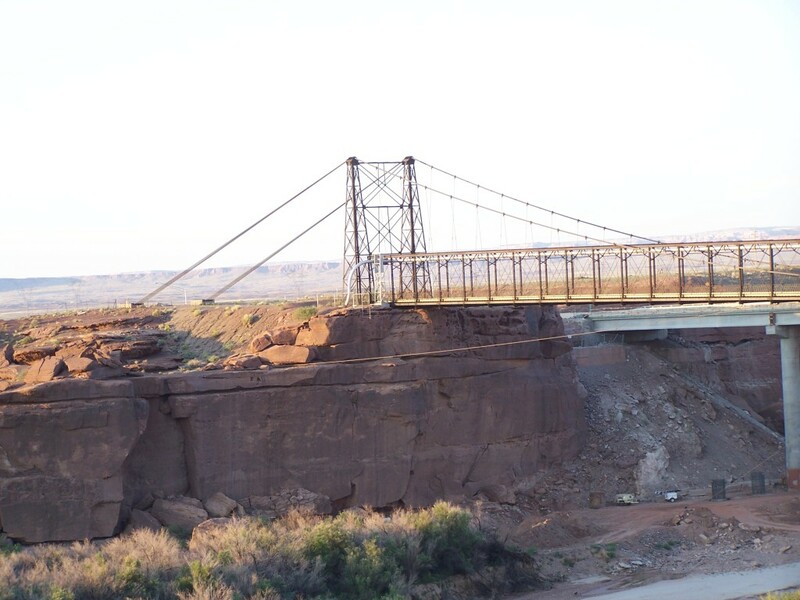 The Trading Post sits on the edge of a scenic canyon that has the Little Colorado River flowing through it. 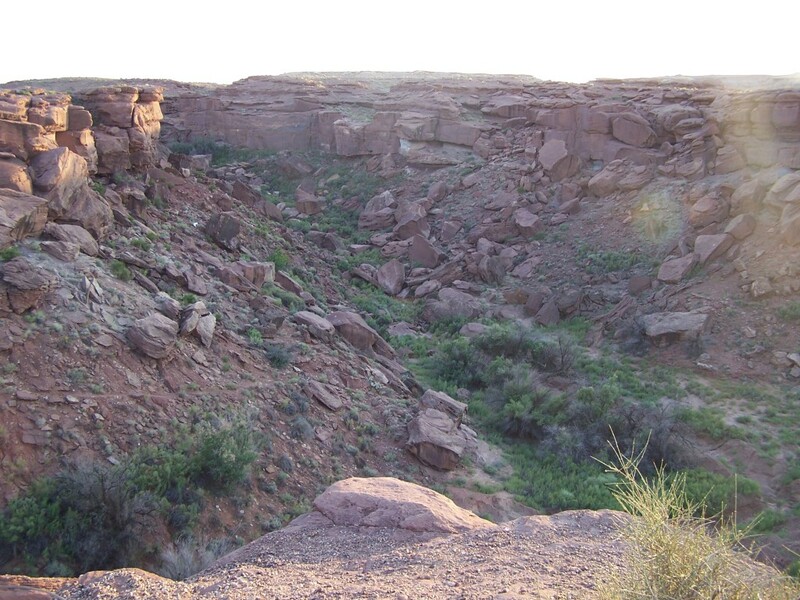 After eating at the restaurant we went out to take pictures of the canyon and the setting sun. 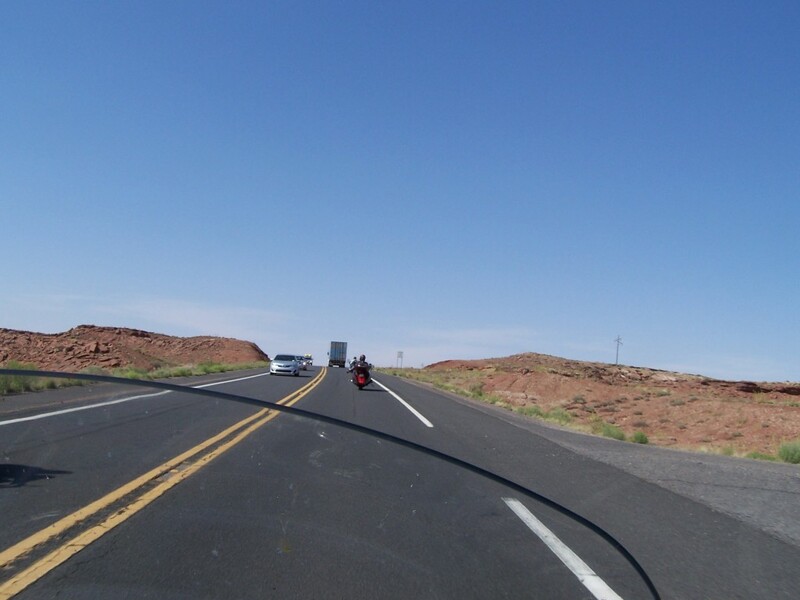 This entry was posted in Motorcycle Touring Logs. Bookmark the permalink.